Ju 88C-6 serial number 360143 crashed near Fliegerhorst Grove 16/6 1943. The aircraft belonged to 11./ NJG 3 and was coded D5+FX. 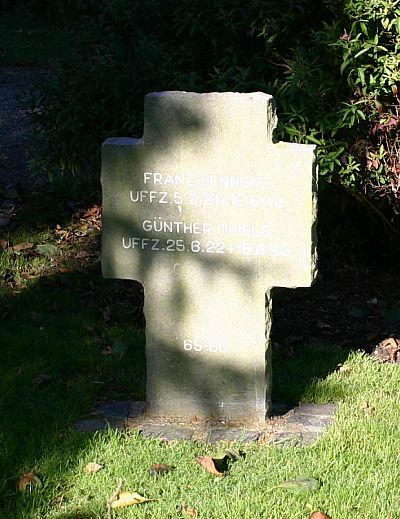 Pilot Unteroffizier Franz Henneke experienced an engine failure on the left hand engine during the calibration flight and tried to make it back to Fliegerhorst Grove. At 00:15 Hours the Ju 88 crashed near what is today known as Stadionvej road 93 near Karup. The tail of the JU 88 ended up 20 metres from the house, but luckily no fire started. In the morning personnel from Fliegerhorst Grove arrived and retrieved the crew from the wreckage. 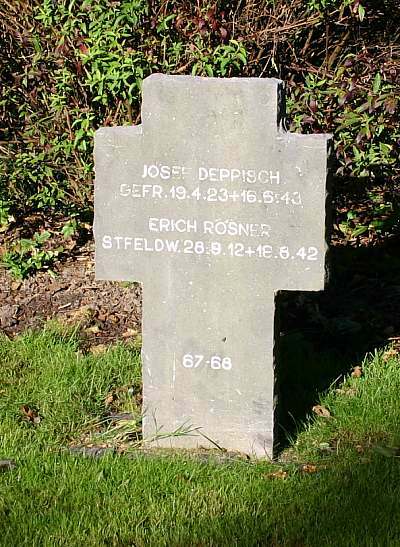 Pilot Unteroffizier Franz Henneke, Wop Unteroffizier Günther Thiele and Engineer Gefreiter Josef Deppish had all died and was placed underneath a parachute about 20 metres from the wreck. The Luftwaffe personnel worked all day to remove the wreckage and not until late afternoon was the bodies removed. A German army chaplain officiated at the graveside ceremony when the flyers were laid to rest in Lemvig cemetery on 19/6 1943. Sources: LBUK, WASt, RL 2 III/1190, BL, KLe.